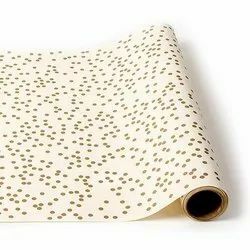 We are a leading Manufacturer of golden/ black stripe paper table roll and polka dot paper table roll from Mumbai, India. 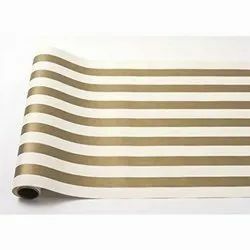 Table Paper Rolls are used for dining and fabrication cutting table sheets. Our provided paper rolls are designed using the finest quality raw material and sophisticated technology. Looking for Table Roll ?